These are ideal AN wrenches for quick fixes. 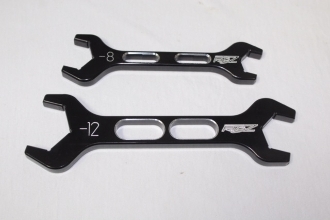 Two dual sided wrenches that have -6, -8, -10, and -12 readily available for your use. Hard anodized for tough tool box durability.